You love Florida State Parks as much as we do, and we can’t preserve them without you. Over 32 million people a year visit our amazing park system and with such high visitation comes necessary maintenance, repairs, and improvements to protect and restore these natural and cultural resources. Select your favorite park and discover how you can get involved in a Friends Group activities and events. There are several ways you can donate funds, gifts of land, art and artifacts. Join a Friends Group and help meet the critical needs of your favorite park. 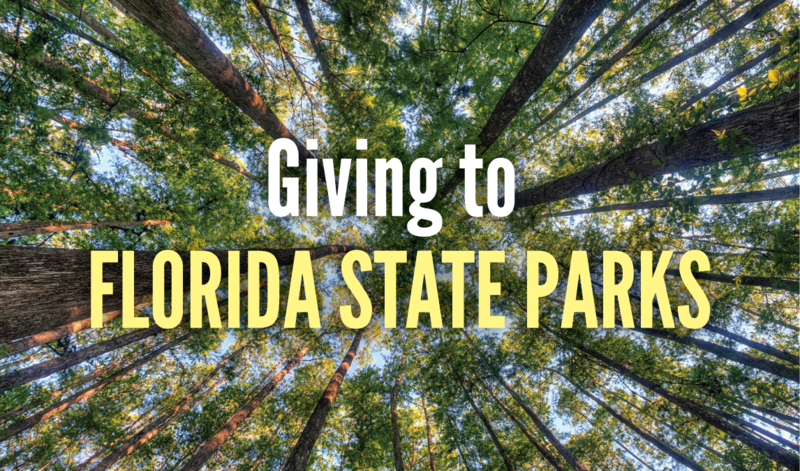 Raises private funds that directly aid, support and enrich all 175 Florida State Parks. Land, objects of value and collections can be donated to the state when legal ownership is transferred. Donate items to your local Friends Group.